We will be traveling from sunny South Carolina to MACNA in Washington, DC bright and early on Thursday morning. 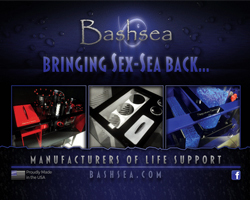 We are looking forward to seeing many new aquarium innovations and gadgets. Many of the manufacturers and exhibitors attending MACNA will be displaying new products, some of which we haven’t even heard as of yet. When we return you can expect to see new product articles on AquaNerd. For our edification and yours, we will be visiting as many booths as possible, while taking lots of photos and gathering information about new products and ideas displayed at the show. Hope to see you at MACNA 2015.